A wedding can be expensive to organise. What if you could pay a chunk of it with monthly small credit card payments over a period of time? We are the first to offer this in New Zealand. Setup once and it is all done. Our system will take out the agreed amount each month from your credit card until this is all paid. 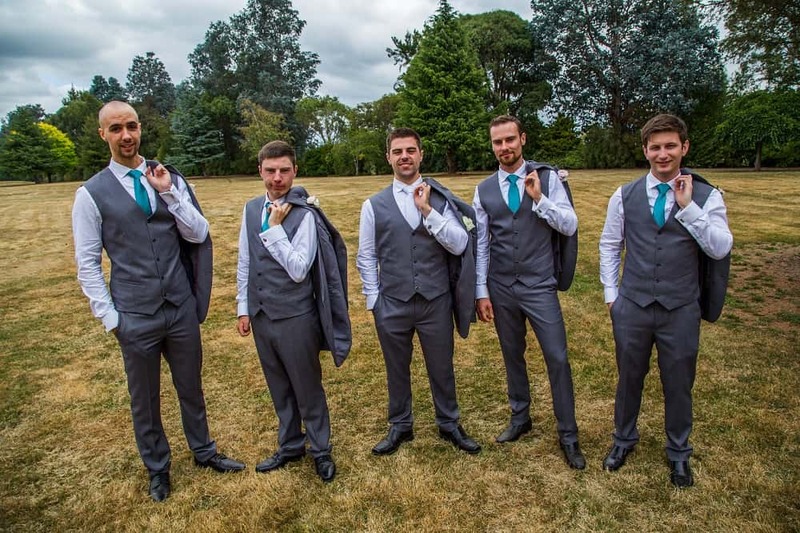 We even send you a reminder of when you should organise the groomsmen to come in for actual measurement, closer to the wedding. Every year, everything goes up in price. Signup and you have the peace of mind that the price you pay will be locked in for the future. Browse through the different packages below. Find the one that is most appropriate for you. Select the duration that work for you (6 months to 24 months). Make sure the final payment is 3-4 months before your wedding at least. We will let you know closer to the wedding date to come in for measurements and start the suit creation process. If you have extra requirements at the time, you can pay us the extra at that time. For example, all tailored shirts for your package will be at 20% off our normal price, at the time you come in for measurement. If budget allows this is highly recommended. How much? Bespoke tailoring from $700 per person. What is included: Jacket, pants, waistcoat, a set of tie, cuff-link and pocket square. 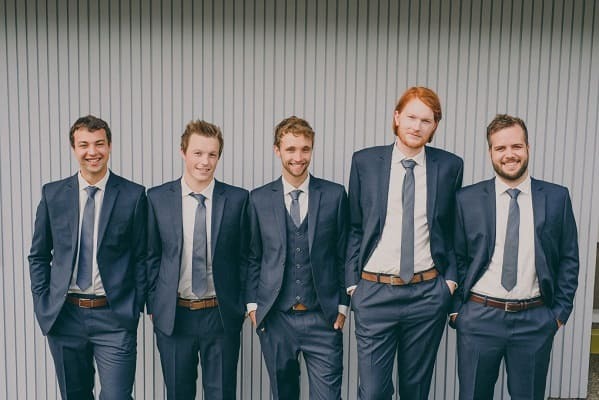 Tip: If possible, try to ask the groomsmen to contribute some money for the suit. At the end, they will keep the suit, and it will be tailored for them anyway. How much? Bespoke tailoring from $550 per person. What is included: Jacket, pants, a set of tie, cuff-link and pocket square. 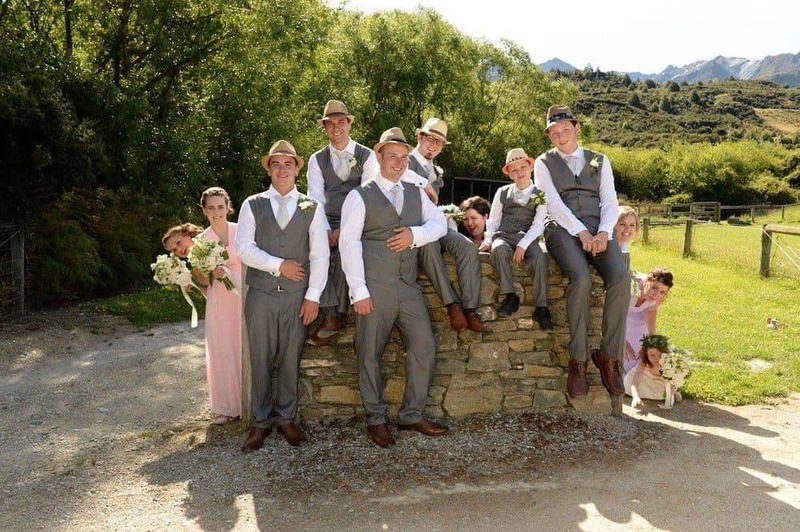 Tip: If one of the groomsmen would like a waistcoat for later use, they can pay us directly to get this done. How much? Bespoke tailoring from $300 per person. What is included: Waistcoat, pants, a set of tie, cuff-link and pocket square. Tip: The back of the waistcoat will be visible. So please decide carefully whether you want to have it done using the same suit fabric, or use lining (this is not recommended but often is the case if you buy it off the shelf). * Please note our normal surcharge for large size, delivery, rush order, and to upgrade to premium fabric may apply. ** Promotions below is for group of AT LEAST 1 groom and 2 groomsmen, and of the same color fabric. *** For best results, final payment should be received at least 4 months before wedding date. **** You can cancel at any time and we will repay you 80% of whatever has been paid. The 20% is to cover administrative cost and credit card fees that we have to pay. ***** Suit colors will be what we have available at the time. We recommend that you come in at the beginning of the process to have a preliminary look at our color ranges. Bonus addon: add custom made shirt to the order for $99 each.